Have you ever given to a complete stranger? Michael Powell is a “giver.” He regularly donated blood. He also donated his bone marrow. Twice. Once with a stem cell transplant, and again through a bone marrow transplant. He gave, not knowing where, or to whom it was going. He is a giver. In 2007, while at a company blood drive in NYC, he met some folks from the Icla da Silva Foundation. They were asking people to consider joining the Be The Match bone marrow registry. Most blood cancer patients, people with varying forms of leukemia, lymphoma, or sickle cell, don’t have a matching donor in their family. They require a transplant from a stranger in order to survive. Their doctors search the Be The Match registry, looking for a matching donor. On the day in 2007, after he finished donating blood, Michael joined the bone marrow registry. He filled out some forms, swabbed his cheek, and was entered onto the registry. It was that simple. The process is now digital, and they mail the swabs to your home, but anyone between the age of 18 and 44 can join. Michael agreed to donate his stem cells or bone marrow, should the need ever arise. Unfortunately, that need arises every day. Approximately 14,000 times every year. The challenge is in finding the perfect “match” for those patients in need of a transplant. Only one out of every 406 people on the registry will match and donate. A match is usually determined by a person’s ethnic ancestry. An African American patient is most likely to receive a successful transplant, a perfect match, from an African American donor. Michael wasn’t aware of it at the time, but African American donors are in short supply. For the African American patients with a blood cancer or sickle cell, only 23% are able to find a match on the current registry. By comparison, Caucasians are able to find a successful match 77% of the time. There simply aren’t enough potential donors included on the registry, especially donors of ethnic diversity. The Icla da Silva Foundation is doing its best to change that by specifically holding registration drives within diverse communities. You can join the registry by clicking the link. You may match a patient in need. In 2013, six years after joining the registry, Michael received a call that he was a match. He had forgotten that he was even on the registry. Be The Match explained the process and asked if he would be willing to donate his stem cells through a PBSC donation. They scheduled a check-up, to make sure he was physically fit, and organized some tests to ensure he was a perfect match. The donation process includes injections of filgrastim, which helps increase the number of blood-forming cells in the body. Be The Match organized a visiting nurse, who came by his apartment daily, for the filgrastim shots. Five days later, he donated at Memorial Sloan Kettering hospital in NYC. It took about 4 hours. His blood was removed through an intravenous needle in one arm, passed through a machine that collected the blood-forming cells, and the remaining blood was returned to his body through a needle in the other arm. Michael told me that Be The Match took care of everything. They offered to have someone go with him to the hospital. They organized a car to pick him up and take him back home. They even paid for a meal for him and a friend after his donation. He insists the process was easy and pain-free. He had some joint stiffness for a few days, but he would recommend that everyone join and donate if they are offered the opportunity. The next step was waiting to hear if it was successful for the patient. In 2017, he received a second call. He was a possible match for another patient. Again, Be The Match kept in close communication and organized everything for him. They scheduled physical exams and blood tests. 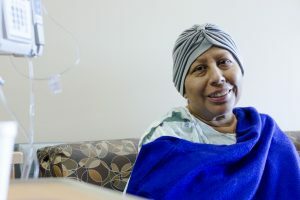 While waiting to see if Michael was the best match, the patient had complications and the doctor indicated that this time, a surgical marrow extraction was the preferred method. Michael had never stayed in a hospital before, and he had never had surgery. Still, he agreed that he would donate. They scheduled surgery for June at Memorial Sloan Kettering, where they would extract bone marrow from his pelvic bone. He was anxious. Understandable so. Michael tells me that the nurses and doctors at the hospital were all incredible. Answering all of his questions and making sure he was comfortable with his decision to donate his bone marrow. Right up to the very last minute, the doctor and anesthesiologist asked him if he was still comfortable going through it. Once again, Michael said yes. On June 1, 2017, at Memorial Sloan Kettering hospital in New York City, Michael donated his bone marrow through a surgical procedure. On June 2, a sickle cell patient received Michael’s bone marrow in a transplant at Nationwide Children’s Hospital in Columbus Ohio. Always positive, Michael remarked that during the surgery, it was the best sleep he had ever had. He was emotionally relieved that it was over; physically, he was stiff. I still find his perspective to be remarkable. Michael believes that we are all connected. It is very important to him. He tells me that “we all have a chance to make a difference in someone’s life.” While that is very true, unfortunately, many people do not act on it. Michael Powell did, and he made a difference in someone’s life. We are forever grateful. After a transplant in the United States, the donor and recipient are not allowed to meet for at least a year. On October 17, 2018, 16 months after the bone marrow transplant, Michael was invited to the annual Icla da Silva Hope Gala. 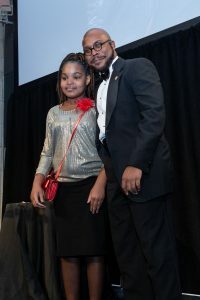 It was at the Gala that he met his patient, Aunesti Sullivan. 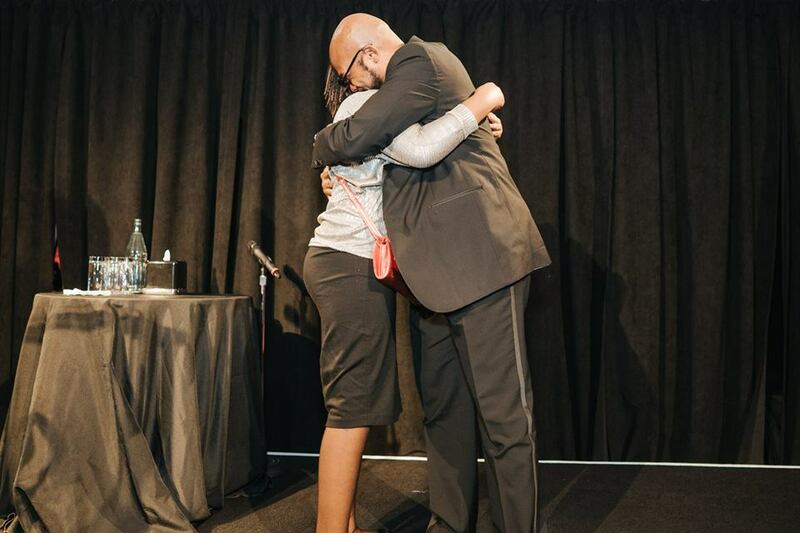 Every year at the Gala, we introduce patients and their donors to each other on the stage. It was the first time that Michael and Aunesti met. It was an emotional experience for everyone in the room. Aunesti is a 13-year-old girl from Toledo, Ohio. She was born with Sickle Cell Anemia, and as a result of the Sickle Cell, was also suffering from Avascular Necrosis (AVN), or brittle bone disease. Aunesti is doing very well. She is active, back in school, and living the life of a teenager. Michael is happy to have made a difference in her life. He tells me they keep in constant contact via text and phone. He has agreed to work with us to help spread the word about the importance of joining the registry and staying committed to donate if you ever match a patient In need. Anyone between the ages of 18 and 44 can join by clicking the link below. Thanks for reading, and thank you to Michael for making a difference in someone’s life. We are all connected. Priscilla Lee seems to have a history of “twos”. She is both intelligent, and funny. She spends time with her family in two vibrant cities, New York City and Hong Kong. 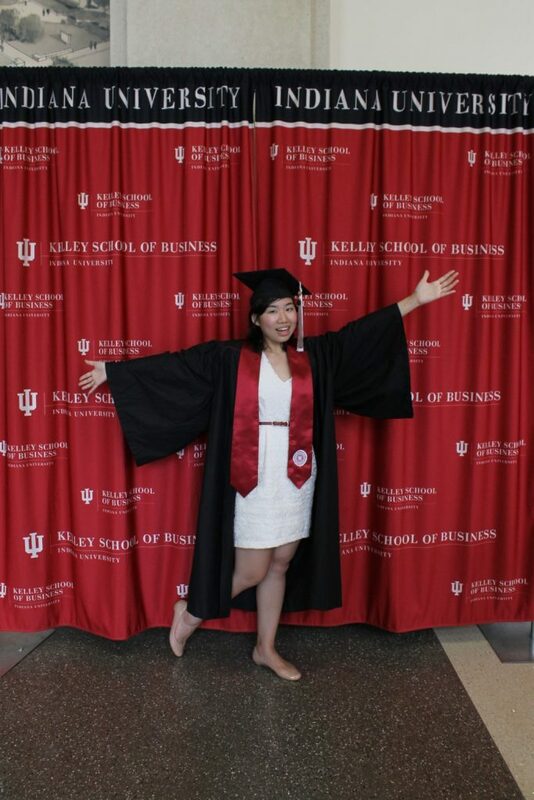 She graduated from Indiana University after majoring in both Math and Economic Consulting. While at Indiana, she learned figure skating and broke her wrists, both of them, at the same time. Priscilla enjoys comedy, so she took improv lessons at both the Upright Citizens Brigade and, you guessed it, “Second” City. She performed improv, wait for it…twice. Unfortunately, two times is not always better than once. Priscilla has also been diagnosed with leukemia, two times. She received one bone marrow transplant and is waiting for her second. She was first diagnosed with AML, acute myeloid leukemia, in December 2012, while on winter break with her family. For patients with AML, the bone marrow makes cells that have not completely matured, and the body is unable to ward off infections. They found a matching bone marrow donor on the Be The Match registry and she received a transplant from an unrelated donor. In May 2018, she relapsed and was also diagnosed with ALL, acute lymphocytic leukemia. Priscilla was immediately put under chemo, again. Her oncologist told her that the only way to remission is another bone marrow transplant. Priscilla was extremely fortunate to be able to find a matching donor, a second time. 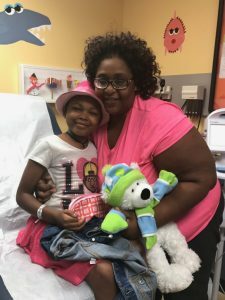 Although she is constantly smiling, she is obviously anxious, and her family and friends are concerned about her well being, while she prepares for her second bone marrow transplant. 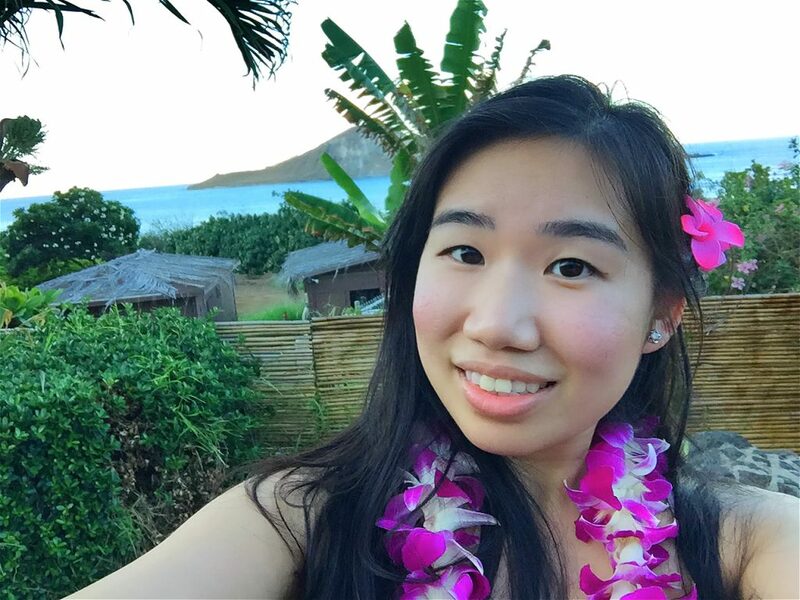 Priscilla is well aware of the difficulties that most ethnic minorities have when searching for a matching donor. Asians only have a 41% chance of finding a match, yet she was able to find a match, two times. Since patients are most likely to match someone with the same ethnic ancestry, it is important for people with diverse ethnicity to include themselves on the registry. Many patients have very little chance of finding a matching donor. Priscilla is both positive and strong. She is thankful for the selfless support of her parents, who still inspire her with their strength. She is also incredibly grateful for the opportunity given to her by her donors, both of them. Two people have given her an opportunity for a second chance at life. Her friends and family think Priscilla is brave, to be able to go through such adversity at a young age. Priscilla considers her bone marrow donor to be the truly brave soul. He had a choice. He chose to include himself on the Be The Match registry, and although he was under no obligation to agree to a donation when he was matched to Priscilla, he did. He donated and added years to her life. He became her superhero. You can become someone’s superhero by joining the registry. Priscilla thinks it is important for those who are willing and able to join the registry to know exactly what they are giving. They are giving life, but they are also supplying hope. Not just to a patient in need, but to their entire family, as well as their extended network of friends. A person who joins the registry and agrees to donate will touch many people through their selfless act. We hope they inspire many more to do the same. Anyone between the ages of 18-44 can join the Be The Match registry and give hope to the many patients searching for a matching donor. After clicking the link below, you set up an account with an email and password. You complete the online registration by answering some basic eligibility questions. You will receive a simple, do-it-yourself HLA typing kit in the mail. The kit includes everything you need to collect a sample of cells from your cheek, using 2 cotton swabs. Once you return the kit, you will be added to the registry. Hopefully, you will receive a call that you match a patient in need. Only one in 430 people who register will match a patient and go on to make a donation. Priscilla has another superhero waiting in the wings. Someone else who was brave enough to join the registry and agree to donate their stem cells to a complete stranger. Her second fight has just begun, and it will continue. We appreciate that Priscilla is sharing her story, and we hope it will inspire more superheroes to join the registry on her behalf. Please join the registry today, you will supply hope and opportunity to many patients, as well as their families and friends. Make a difference, join the registry. Olga está luchando contra el cáncer por segunda vez. Ella fue diagnosticada por primera vez con leucemia en el 2016, y entró en remisión. En 2018, luchó durante meses con cansancio, dolores de cabeza constantes y hematomas extraños. En marzo, le diagnosticaron AML, leucemia mieloide aguda. El AML es un cáncer de la sangre y la médula ósea y en general, empeora rápidamente si no se trata. Su mejor oportunidad de sobrevivir es un trasplante de médula ósea. Olga es madre de tres hijos y abuela de dos nietos. Tiene 52 años. Su familia emigró hace 15 años de su pueblo pequeño, San Buenaventura, en Coahuila, México. Vinieron buscando un mejor tratamiento para su hija Betty, que padecía de una deficiencia crónica de crecimiento. Tomó 8 años para que Betty se recuperara y para entonces, habían formado una vida aquí. Ella ha estado casada por 30 años. Su esposo, Jesús, trabaja en la construcción y es el sostén principal de la familia. “Trabajaba en la tienda de segunda mano de mi madre en México, pero desde que llegamos aquí me he quedado en casa para cuidar de los niños y la casa,” dijo ella. No poder cuidar de su hogar es lo que más le frustra a Olga de tener cáncer, ella siempre está cansada. La familia se mudó aquí hace 15 años para buscar ayuda para su hija y ahora las cosas han cambiado. Betty dejó su trabajo para cuidar a su madre a tiempo completo. Una temperatura elevada y un recuento bajo de glóbulos blancos hacen que Olga regrese al hospital, con Betty a su lado día y noche. “No fue así la primera vez”, dijo Olga. “Siento que me dan de alta solamente para dar la vuelta y regresar”. Ha sido hospitalizada muchas veces desde que recibió su segundo diagnóstico en marzo del 2018. Olga no tiene seguro médico y le dijeron que las únicas opciones para el tratamiento eran el MD Anderson Center en Houston, o buscar asistencia médica en México. La historia de la familia con el sistema médico en México es lo que los llevó aquí en primer lugar. “Aquí trabajan contigo si no puedes pagar de inmediato“, dijo Betty. “En México, si no tienes el dinero por adelantado, no recibes tratamiento“. La familia está agradecida por la ayuda que han estado recibiendo. Estaban agradecidos de encontrar un médico del Medical City Dallas Hospital en Dallas, Texas, que aceptó realizar el procedimiento una vez que se encuentra un donante compatible. La Fundación Icla da Silva está ayudando a la familia realizar pruebas de compatibilidad a los hermanos y hermanas de Olga tanto en los Estados Unidos como en México. Solamente alrededor del 30 por ciento de los pacientes encontrarán un donante compatible dentro de su familia. El otro 70 por ciento recurre al registro Be The Match para encontrar un donante compatible. La compatibilidad se basa en proteínas o marcadores de HLA (antígeno leucocitario humano) que se encuentran en casi todas las células del cuerpo. Ayudan al sistema inmune a identificar las células que pertenecen, y provocan las defensas del sistema inmune del cuerpo. Los tipos de HLA son heredados y personas de la misma ascendencia étnica suelen ser más compatible. Desafortunadamente, las minorías están subrepresentadas en el registro, lo que hace que sea más difícil para esos pacientes encontrar un donante compatible. El equipo de Icla da Silva se enfoca en cambiar este desafortunado hecho y continuamos realizando campañas de donación de médula en todo el país en un intento de educar y agregar más diversidad al registro Be The Match. Olga tiene fe en que encontrará una donante compatible y ella se recuperará. Refiriéndose a su familia, “todavía me necesitan“, dice ella, “Dios me da fuerza“. Únete al registro para ayudar a Olga u otro de los 14,000 pacientes que buscan un donante. Olga is battling cancer for the second time. She was first diagnosed with leukemia in 2016, and went into remission. In 2018, she struggled for months with chronic fatigue, constant headaches and strange bruising. 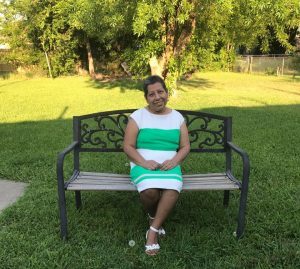 In March, she was diagnosed with AML, acute myeloid leukemia. AML is a cancer of the blood and bone marrow and usually gets worse quickly if not treated. Her best chance of survival is a matching bone marrow transplant. Olga is a 52-year-old mother of three and grandmother of two. Her family emigrated to the Dallas area fifteen years ago from a small-town named San Buenaventura, in Coahuila, Mexico. They came seeking better treatment for their daughter Betty, who was suffering from a chronic growth deficiency. It took 8 years for Betty to recover and by then, they had formed a life here. She has been married for 30 years. Her husband Jesus works in construction and is the primary breadwinner for the family. “I used to work at my mom’s second-hand store in Mexico, but since we got here I’ve stayed home to care for the children and the house,” she said. Not being able to care for their home is what frustrates Olga the most about having cancer, she is always tired. The family moved here 15 years ago to seek help for their daughter and now the tables have turned. Betty has quit her job in order to care for her mother full-time. An elevated temperature and low white blood cell count has Olga back in the hospital, with Betty at her bedside. “It wasn’t like this the first time,” said Olga. “I feel like they keep releasing me just so I can turn around and come right back.” She has been hospitalized many times since receiving her second diagnosis in March of 2018. The family is thankful of the help they have been receiving. They were grateful to find a doctor from Medical City Dallas Hospital in Dallas, Texas, who agreed to perform the procedure once a compatible donor is found. The Icla da Silva Foundation is helping the family by testing Olga’s brothers and sisters in both the United States and in Mexico. Only about 30 percent of patients will find a match within their family. The other 70 percent turn to the Be The Match registry to find a matching donor. Compatibility is based on HLA (human leukocyte antigen) proteins or markers found on almost all cells in the body. They help the immune system identify self-cells from non-self-cells, which trigger the bodies immune response. HLA types are inherited and finding a compatible match increases with people of the same ethnic ancestry. Unfortunately, minorities are underrepresented on the registry, making it more difficult for those patients to find a matching donor. 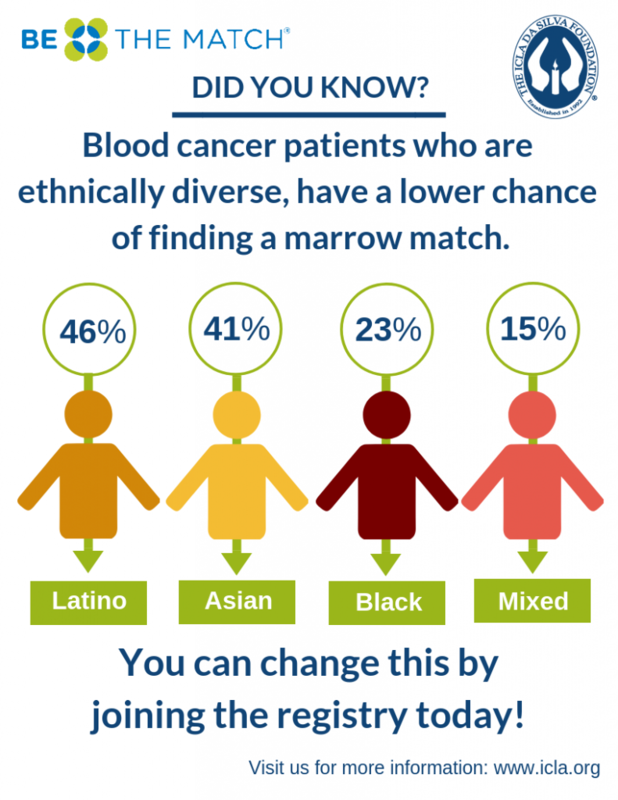 The Icla da Silva team is focused on changing this unfortunate fact and we continue to hold marrow drives throughout the country in an attempt to educate and add more diversity to the Be The Match registry. 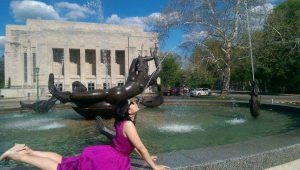 Please join the registry to help Olga or one of the other 14,000 patients searching for their match. What if you were the only one who could save a life? If you could be that hero, the one that someone has been looking for and perhaps the only one in the world who fits the criteria, would you do it? Would you take the necessary steps and give life to another? Every year, more than 14,000 patients are diagnosed with blood cancers like leukemia, lymphoma and sickle cell anemia. For these patients, a stem cell or bone marow transplant is their only hope for survival. 70% do not have a matching donor in their family. They are reliant on finding a donor through the Be The Match bone marrow registry. It’s the largest and most diverse registry in the world, but it’s not large enough, or nearly diverse enough. 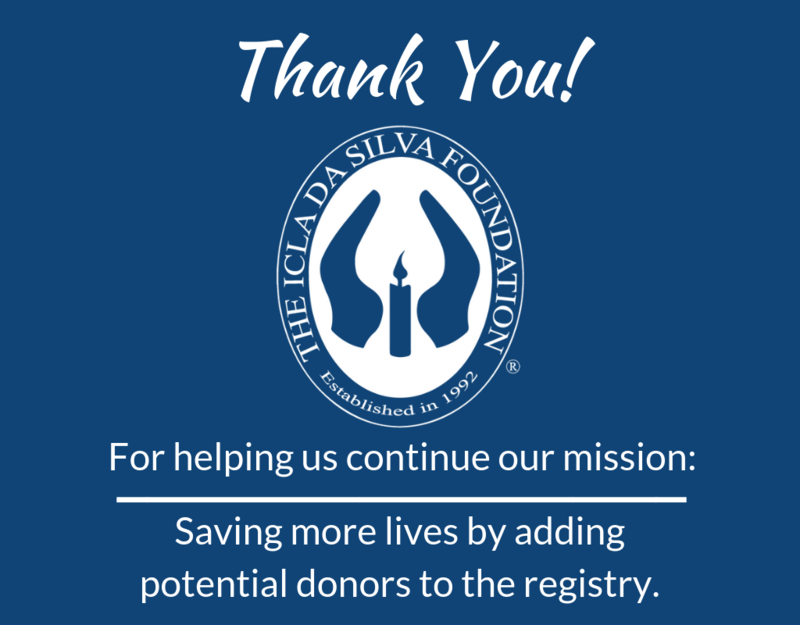 The Icla da Silva Foundation is the largest recruitment center for Be The Match. 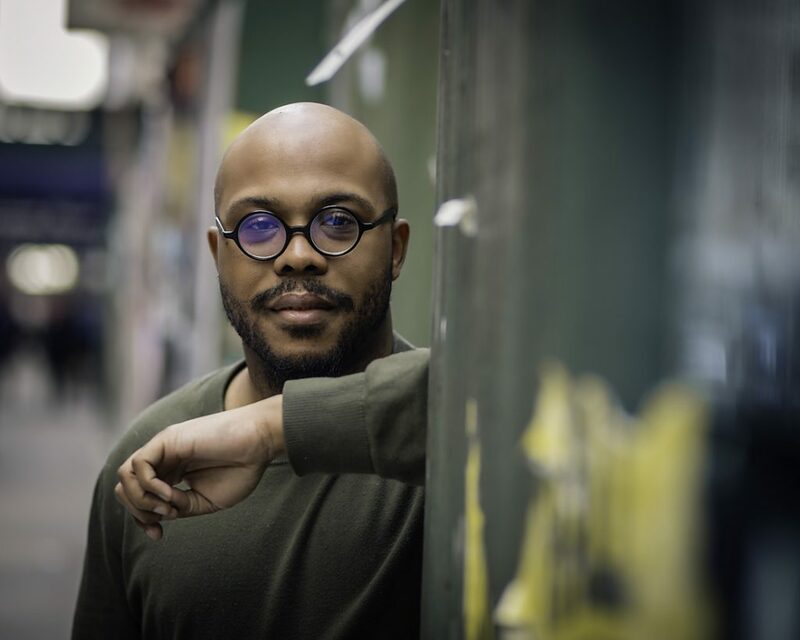 Our focus is on supporting under represented communities, and we work tirelessly to find bone marrow matches for minority groups and mixed-background ethnicities whose current donor pool is either far too small, or almost non-existent. The simple fact is that not enough people of ethnic diversity have joined the registry. This has resulted in a registry that is currently under represented for many ethnic segments. We are working to change this. You can help by joining and asking those close to you to do the same. Aashim Joy is one of the potential recipients still searching for his perfect bone marrow match. He was diagnosed with B-Cell Type Acute Lymphoblastic Leukemia in July last year, and he requires a bone marrow transplant. Like many blood cancer sufferers, he has no other hope of beating the disease. One year into his marriage, his diagnosis was a shock and the new couple’s American Dream seemed to fade before their eyes. 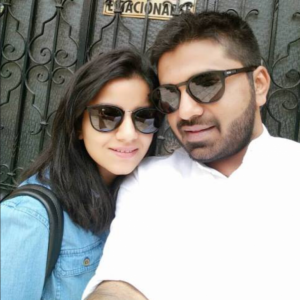 Involved in the financial sector in New York City, the couple had recently relocated from Bangalore to start a new life together in the Big Apple when Aashim was diagnosed. Reaching out to the Be The Match Registry, the largest in the world, Aashim and Reema were hopeful of a quick match and a happy ending. Despite their time and enthusiasm, the search has been longer than expected. People of Indian descent are not common on the registry, which makes the genetic and ethnic aspects of finding a perfect match more difficult. The search is still on for Aashim’s perfect bone marrow match. Both he and Reema remain positive of finding a match, urging everyone they meet to sign up and join the bone marrow registry. Not only for the sake of Aashim and his lovely wife, but for other patients who walk this difficult road beside them. Read more about Ashim’s story here and here. Signing up as a potential donor is simple. If you match a patient, it is obviously a life-saving experience for the recipient, but it can also be life-changing for the donor. You are literally giving someone a second chance at life. The process involves clicking the link, setting up an account with an email and a password, and providing some general health and ethnicity information. You will receive a swab kit in the mail. Once you return the kit, you will be included in searches for patients in need of a matching donor. If you match a patient and are eventually asked to donate bone marrow, please say yes. The process is simpler than you think. You can read about it here. The bone marrow cells in your body are replenished within four to six weeks after the procedure and your life goes on. Each person who joins the Registry is a new potential match for a patient in need. Organize a bone marrow drive.. We’re here to provide tips and suggestions on how to run a successful drive in your community. Who knows? This could be the difference between life and death for somebody waiting for a bone marrow transplant. Donate your time. Patients and their families spend the majority of their precious time doing mundane administrative and logistical tasks while looking for assistance and finding a match. Why not offer to help out at a local clinic or volunteer at an organization like the Icla da Silva Foundation? Give Financially. Always a great need in a non-profit based organization, financial assistance is a tremendous help in donor searches, educational awareness events, and covering economically-challenged patients’ medical bills. Support events and fundraisers. There are people all over the world trying to assist in bone marrow donation and awareness. Go to their fundraising events, tweet about it, share a link on social media, support media efforts and invite some friends! Our 8th annual Matchmaker 5K Walk is just around the corner, sign up now. Aashim is a wonderful example of where ethnicity and genetics play a pivotal role in bone marrow donation. The Indian donor pool is, unfortunately, not representative or diverse enough to cater to such a large population; and Aashim has not been able to find a suitable donor match thus far. The larger the pool of donors, the more diverse the pool becomes, significantly improving the probability of finding a match. There is hope. Many of our success stories are a testament to perseverance and tenacity, often at the hands of an invested team of supporters and medical professionals. There are victories worth mentioning, and heroes who decided to take the leap. At age 3, William was diagnosed with hemophagocytic lymphohistiocytosis (HLH). The immune system attacks the body’s own organs instead of protecting it against foreign invaders. 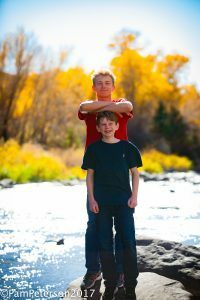 Charles was only seven at the time, but turned out to be a perfect match for his little brother and insisted on donating his stem cells to save William. The procedure was on a Thursday and Charles was back at school by the Monday morning remembering the worst part of the whole experience as having to take off the bandage! Both brothers are now healthy and living life to the full back in Puerto Rico. After the procedure, Charles was treated to a ski trip with his father and unbelievably, it has lead to a lifelong passion. He was Puerto Rico’s single star on the Alpine Ski team at the 2018 Pyeongchang Olympics. 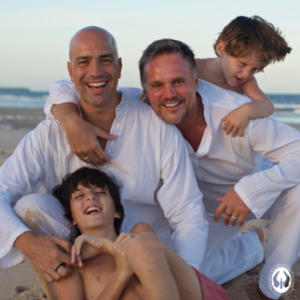 Read more about Charles and William’s story. Smiling is a universal language, and Mya is an expert. This 9-year-old has been through an epic battle against T-cell leukemia and came out on top. Described as a ‘beautiful, positive, joyful spirit,’ she and her family are finally seeing the light after years of struggle against this devastating illness. Chemotherapy was ineffective in treating her condition. Thankfully one of Mya’s brothers was a 100% percent match and he gladly donated his bone marrow stem cells. 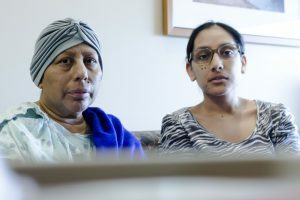 Her recovery is going well, but the treatment is expected to continue for the next two to five years, which means the financial strain on the family is huge. Read more about Mya here. Born at 27 weeks, Tancrede Bouveret was the spark in his father, Luc’s, eye – a tiny, perfect addition to the family. At age of eleven he was diagnosed with Myelodysplastic Syndrome (MDS), which eventually progressed into Leukemia. Unfortunately, Tancrede’s little brother was not a suitable donor (only 25% of siblings are). After an extensive search in Brazil, the U.S.A and France, the excited family was able to locate a 100% percent match and Tancrede was saved. Complications resulted in an extra long hospital stay and a need for more lymphocytes, which his donor gladly provided. On October 18, 2017, Tancrede met his bone marrow donor for the first time at the Icla da Silva Hope Gala in New York City. It was an unforgettable moment of shared joy and hope for humanity. So, are you open to the possibility of saving someone’s life? Take the leap and register as a bone marrow donor. Help however and whomever you can, because life is short and everyone deserves an opportunity to flourish in the time we have been granted.